We are always here to help you find your family history. We accept all kinds of services and will undertake any kind of genealogy assignment – large or small – it is our defined goal to deliver a complete quality product that will meet your expectations. 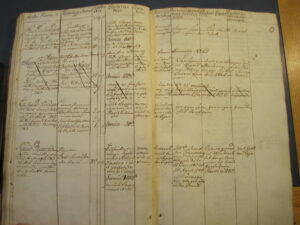 We provide high quality family history research services in all of Europe at competitive prices. We are experts in immigrant roots from all of Europe, inclusive Eastern Europe, and look forward to help you! as recommended by The National Genealogical Society. Our research takes place primarily at the national archives, state archives and local historical archives across Europe, but we also use Internet-based sources. Where possible we will always try to use primary sources to ensure that only accurate information is collected. Different rates apply according to the scale of work and time required.